Animals born with more than one head have a condition called polycephaly (literally “many heads”) and polycephalic animals only come in two kinds; bicephalic (having two heads) or tricephalic (having three heads). Animals with more than three heads have not been found in the real world. 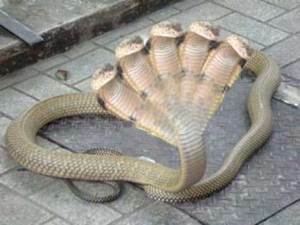 There are some photos of a five headed snake on the internet. But they are photoshopped fakes. Just checking back into this lovely website, and I noticed that you have posted several freaky updates! 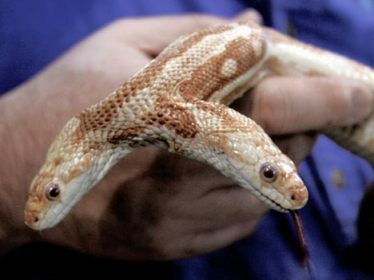 Those two headed snakes are plain creepy! 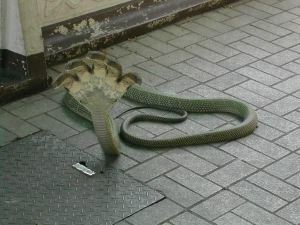 Snakes with one head are enough for me, as I’m very leery of those sneaky serpents. 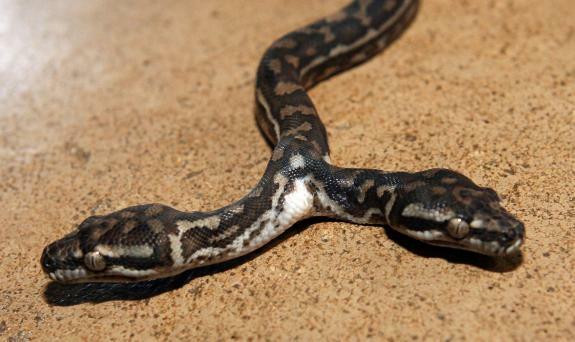 The images of those 5-headed snakes may be fakes, but they remind me of certain mythical creatures that are found in some tales of folklore, legends, and ancient myths and whatnot.